Walk the most popular route of the Camino de Santiago from its very beginning, the French village of Saint-Jean-Pied-de-Port. 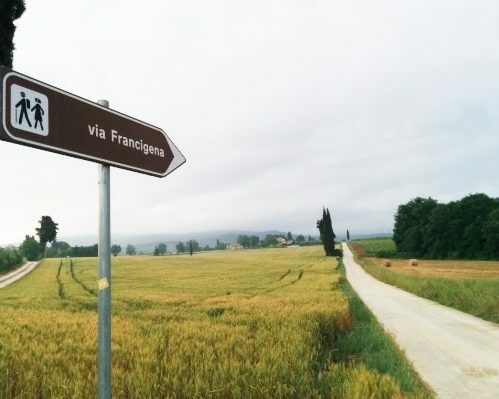 On the full French Way (or Camino Francés) you will be able to discover the most genuine and rural side of Spain, contemplate its diverse landscapes and some of the main cities such as Pamplona, Logroño, Burgos, León, Ponferrada… and finally Santiago de Compostela! This trip, created by locals, will allow you to meet many fellow Pilgrims from all over the world, taste our delicious gastronomy, and discover both the main cities and the countryside. Forget about your luggage and all the logistics, we will take care of all these details, so you can enjoy the Camino Francés! If you are worried about the length of each walking day, we can split them or add extra nights for you to rest. Each pilgrim needs to follow its own way, with a different speed. If you have enough time and energy, the full French Way is the best choice. At Galiwonders.com we want to help you to get the most of this lifetime experience on the French Camino. We will take care of all the details, so you can concentrate on enjoying the Camino de Santiago walk. The lovely village of Saint-Jean-Pied-de-Port has a medieval atmosphere, and a strong presence of the Basque culture. It marks the beginning of the French Way. We strongly recommend to wander around its small streets, to get ready for the Camino. The first walking day is one of the most challenging of the Camino Francés, but at the same time the views are stunning, from the Pyrenees Mountains. For those who want to avoid long slopes, it is possible to take the route to Valcarlos, through the valley. We leave France behind, and once in Spain the walk will become a bit lighter than the previous day. 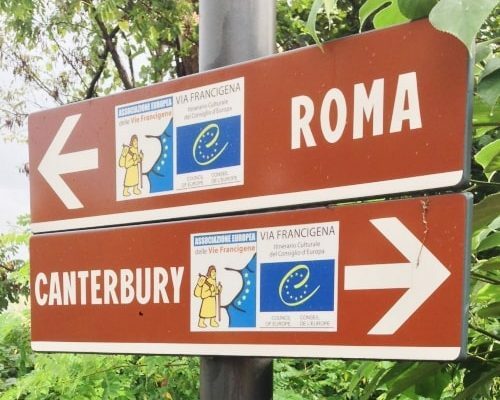 Even if the route is called “French Way”, only the first walking day is in France (all the rest is in Spain). The panoramic view of the Pyrenees Mountains will be on your back. You will walk through crop fields, in parallel to the Erro River. The day will start through a quiet area, in parallel to the Arga River, with many trees and shadows. The last part will became busier, as we approach Pamplona, a great city. There is a lot to do there, for those thinking about adding an extra night, Pamplona is definitely a good choice. One of the best things of the French Way, is that we can visit some of the major cities of Northern Spain. The first part of the day will be through paved roads, as we leave Pamplona behind. Today you will be able to contemplate the Pilgrim Statue in the Alto del Perdón. The walk from Puente de la Reina to Estella is quite relaxing, through farms and vineyards. You will walk through the ruins of the Monasterio de la Bogota, wineries, and old Roman bridges, until you arrive in Estella. Most of the walk passes through small rural areas, surrounded by natural landscapes and vineyards. This is a lovely stretch, because of the natural areas, until we reach the outskirts of Logroño, the capital city of La Rioja Region. It is a great place to add an extra night. Logroño is also one of the most iconic towns of the Camino Francés. You will walk through paved roads until you finally leave Logroño; just after, the landscape will become more rural. If this walking day seems to be too long, you can add an extra night in Navarrete, which is in between. Today the walk will take you through some of the most rural areas of Spain, farms and countryside, away from the main road. On the way to Belorado, we will walk through small wooden areas and crop lands. We will see the mountains on the horizon, the last ones just before arriving to the “Meseta”. La Meseta: this part is avoided by some pilgrims walking the French Way (it is considered to be the “psychological” stretch of the Camino de Santiago). You will enjoy a relaxing day, through rural areas, and cross the Oca Mountains. As we get closer to Burgos, one of the main stops on the Camino de Santiago, the landscape will become more urban. Once we leave Burgos behind, the walk to Hornillos del Camino will take us through rural areas, and the typical crop lands of this region. This lovely landscape is very similar to the one seen on the previous day. It is a nice walk through the “Meseta”. Today we leave behind the Province of Burgos, and arrive into the Province of Palencia. We will arrive into the highest point of the “Meseta”, and see the Pisuerga River (a tributary of the Duero, one of the main rivers in Spain). The walk to Carrión de los Condes goes in parallel to the Uciesa River, and also to the main road in some stretches. This walking day is a bit shorter, through rural areas. That’s why we recommend to stop and visit the Monasterio de San Zoilo. We will find many ups and downs on the way to Sahagún, as we will walk through small valleys. Be ready, as it can be a bit more challenging. The terrain from Sahagún to El Burgo Ranero is quite flat. It is a quiet walk through farmlands. This stretch, quite similar to the previous one, has a light descent as we approach León city centre. The landscape will start to get more urban as we approach the city of León, one of the main stops of the Camino de Santiago. León has a really nice historical quarter, and many buildings that are worth a visit, such as the Cathedral. We recommend to add an extra night here, specially to those who want to discover it in depth. This walking day is quite flat and quiet. Once we leave behind the suburbs of León, we will find again rural and crop areas. As we get closer to the Mountains of León, the terrain will become more irregular, with ups and downs. Astorga is a stop with many interesting spots, this town is linked to Gaudí, the architect. Today we will get into the Mountains of León, surrounded by trees and plantations. The landscape of the “Meseta” is finally over. On the way to Ponferrada, we will see the Iron Cross (Cruz de Hierro in Spanish, and Cruz de Ferro in Galician), on of the most emblematic symbols of the French Way. It is quite a long route, but really rewarding. Ponferrada is the starting point for many pilgrims that want to complete the last 200 km of the French Way. The walk, through the Bierzo Region, has a lovely landscape. The walk to O Cebreiro, is one of the most challenging ones of the whole Camino de Santiago, has the final kilometres go through a long slope. The walk from O Cebreiro to Triacastela is not as demanding as the previous one. We will see the Pilgrim Monument in the Alto Poio, and finally a nice descent towards Triacastela. From Triacastela to Sarria, we will enjoy a nice walk through some of the most rural areas of Galicia, we will see small woods, streams and valleys. Sarria is the starting point of most of the Pilgrims walking the French Way, as 100 km is the minimum required to get the Certificate. A lot of pilgrims start their walk in Sarria, since this town marks the beginning of the last 100 km of the French Way. You will see that the number of pilgrims will radically increase from this point. 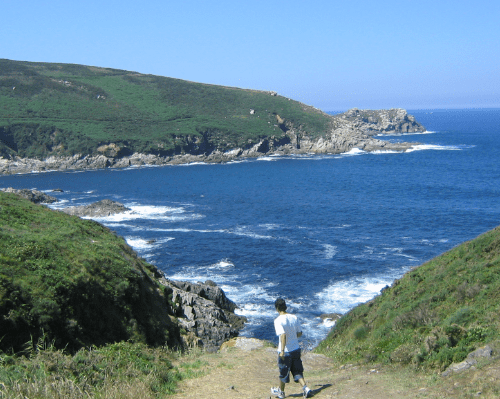 The walk will take you to some of the most iconic spots of the French Way, such as Morgade, or Portomarín. This medieval town is considered by many visitors, as one of the most beautiful places of the Camino Francés. The walk will take all pilgrims through rural areas, pine forests, and woods. There will also be time to visit really nice hamlets, with religious constructions, such as Santa María de Castromayor (after leaving behind Portomarín). This stretch finishes in Palas de Rei. There are many restaurants and hotels in Palas de Rei, a town where everything seems to be related to the Camino de Santiago. The walk from Palas de Rei to Arzúa is the longest of the last 100 km of the Camino Francés. That is why a lot of pilgrims split in two, and stay in Melide. Melide is very popular because of the octopus, we strongly recommend you to taste it if you are around! Just before arriving in Arzúa, you will walk through Ribadiso: the river, the trees, the traditional houses… everything looks like a perfect postcard image. We strongly recommend you to taste the delicious traditional cheese before you leave Arzúa. This stretch of the French Way continues through small hamlets, eucalyptus forests… One of the highlights of the day: the Chapel of Santa Irene. The final stop of the day is O Pedrouzo. This village is quite small, and limited in terms of accommodation. There are other hamlets around (also on the Camino de Santiago) like Rúa, O Pino, or Amenal. These are also popular spots to stay overnight. Last walking day of the French Way, that will finally take us to Santiago de Compostela. If you feel it is very long, and you prefer to arrive in Santiago on time for the Pilgrim Mass, you can stay overnight in Lavacolla (just 10 km far from Santiago de Compostela). One of the most emotional moments of the French Way, will be the ascent to “Monte do Gozo”. This is considered to be a moment for self-awareness and reflection. To think about all the magical moments of an adventure that is about to end. Last day of the adventure. It is possible to add some extra nights in Santiago de Compostela so you can explore de city. We strongly recommend you to visit Finisterre or the Rias Baixas before leaving Galicia region.